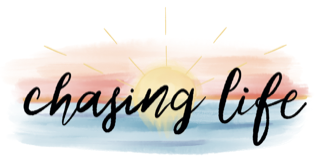 Seoul, Part One: Minimalistic Beauty | Chasing Life! At the beginning of our visit to South Korea, we met Eunik Ko. After spending some time with Eunik, you soon realize that she is an intelligent woman with a compassionate heart and a love for people. She is often taking pictures of anything and everything (especially food) with her phone, and I can tell she finds simple things fascinating. Eunik is a profesional Psychologist who works strictly with the Korean military, and she is also the daughter of the Overseer for the South Korea Church of God denomination. A friend of ours from the states had given us her contact information, and when we reach out to her, she was more than willing to help us out. Eunik was the first person we met when we arrived, and she gave us a warm and pleasant glimpse into her colorful culture. We were guided through the streets of Bukchon Hanok Village, which dates about 600 years to the Joseon Dynasty. Personally, I like historical sites that are full of character and interesting stories. Even without entering a hanok, you can tell there is richness of history in every wall, gate, and even on the unique tile roofs. The structures are beautiful and simple, yet fascinating! I became curious as to why each door had a unique style and symbol on it, since the Hanoks have pretty much the same architectural design. Eunik explained that the reason for that is that each door has the family name or insignia printed on it. She also told me that these Hanoks remain within the same family from generation to generation, with only a few exceptions. We were able to visit one Hanok that has been turned into a cultural center because of its unique Japanese influence mixed with the Korean architecture of that time. Even though we were not able to see the inside, the exterior was quite beautiful with an fitting landscape and views of the new Seoul. I could not help but think of the contrast in the simplicity of the Hanok compared with the busyness of the modern city just a few miles down. As we roamed the streets, we saw several young people dressed in traditional Hanbok, taking selfies while laughing and enjoying themselves. This is a common thing to do for fun, however, I found it Interesting most of the people wearing the Hanboks were locals. I figured the reason for that was because it was a week day and the typical tourist traffic you would expect for a historical site was minimal. I enjoyed the fact that we were met with a pleasant silence and a comfortable cool weather. On this particular day, Eunik had arranged for us to have lunch with her parents at a traditional Korean B.B.Q. restaurant. This was our first experience having the traditional meal in its birthplace, and let me tell you that it did not disappoint. I rank it No.1 in our culinary experience with the Korean culture. Rev. and Mrs. Ko were kind, and I could tell that if we were fluent in each others language, we would have had a great conversation. Eunik was kind to translate for us all, and our time together went from being awkward to pleasant. Eunik’s parents carried themselves with the typical elegance you would expect of Korean elders. At one point , Mrs. Ko gave me the feels when she put some meat on my rice bowl, and encourage me to eat well. It melted my heart because I know from watching many Korean dramas, what a big deal that is. If you are liked, you get treated like family-and Koreans are big on family. It was during our last day in Seoul that we were able to visit the magnificent Gyeongbokgung Palace. I think it can be compared to being at the Vatican in Rome (with the obvious architectural differences). It is like a city of its own! The entire palace including the surroundings cover so much ground that we were unable to see it all. 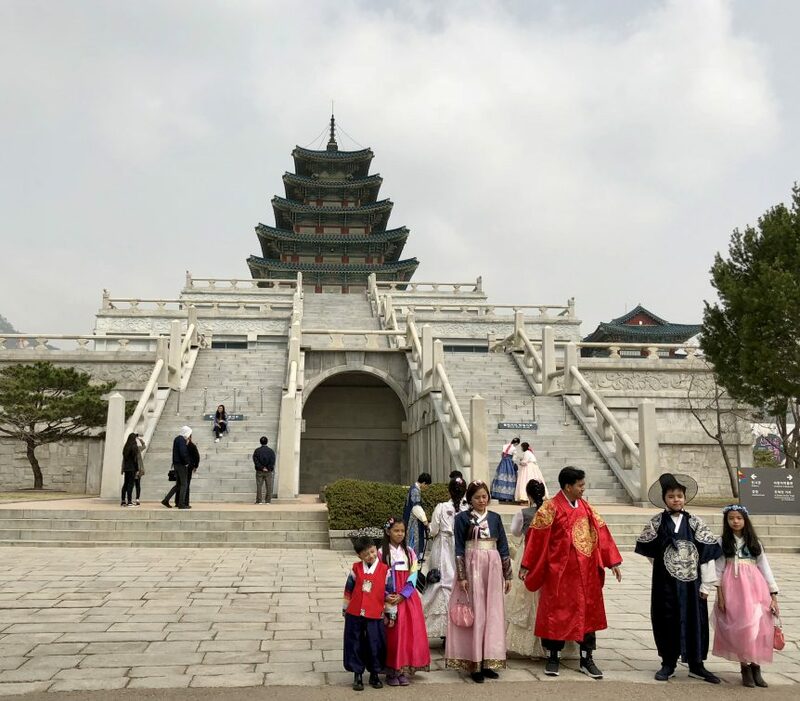 The palace and its sorroundings might seem simple, however, they are quite majestic when you take time to look at the colorful yet minimalistic style of the Korean Architecture. You would do yourself a disservice if you ever visit this historical landmark without reading some of the history beforehand. It is the only way to understand what a masterpiece it is. I was fascinated by seeing things I had only read about. I learned about furnaces underground that were lit to heat the floors; fascinating! The Koreans typically made their structures the focal point of their kingdoms. It is not about having many things, but about making what they have honorable, beautiful, and somewhat intimidating. Here is a map of the entire palace and its sorroundings. Obviously, that got me thinking about our lives. For many of us, the more we acquire, the better standing we have in society -or so we think. The ironic thing is that the more we get, the lonelier we feel. We are constantly competing with the one who buys the latest gadgets, and we are somehow never satisfied, because we truly believe that having more is a sign of power and success. I looked carefully at the palace ceilings and the beautiful designs, which must have taken the builders and artists a long time to complete -there is so much detail! It truly spoke volumes to me. If you spend some time looking up, you will see the amazing art on the ceilings, and then on the columns. I realized how intimidating this most have been for an enemy seeking to attack this place. Just one look around and immediately you get the sense that there are secrets in the city; things hidden, perhaps on purpose. I have my own sneaky suspicion that the ancestors were highly intelligent and strategic in building a culture of mystery, minimalism, repressed emotions, and simple beauty. Certainly, there is more than meets the eye.